Your users have a thirst for knowledge and you want the most out of your technology investment. Cloudbakers knows the importance of change management in a cloud transition, which is why we have a dedicated Adoption Team that is focused on delivering the best training and resources to end users, executive teams, and admins alike. For G Suite users specifically, Cloudbakers has seen success in Continuous Learning as a Service – what we like to simply call “CLaaS”. We developed the CLaaS platform to constantly deliver relevant content, and as a result, we’ve seen increases in job satisfaction and workplace productivity for our clients who are using Google Cloud. The CLaaS platform consists of self-paced learning paths, video tutorials, G Suite resources and more. It is updated with new content monthly, which will keep your users up to speed with Google’s pace of innovation. This 4-part learning path is designed to get your users comfortable with their Google Drive account. The learning path is self-paced, so they can skip ahead and repeat the lessons as often as they want. Throughout the course, users can watch videos, answer practice questions, and review other resources to teach them about the various parts of Google Drive. This learning path is also self-paced, allowing users the ability to skip ahead to whichever topics are of most interest to them. To learn more about CLaaS and enable your users with a continuous learning portal, start a discussion with Cloudbakers. Author Bio: Cloud Training Specialist at Cloudbakers, marathoner, and international public speaker. 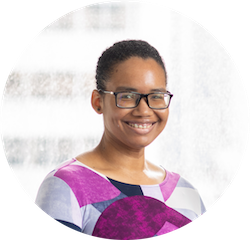 Olivia brings her experience as an educator to develop engaging training content and experiences for G Suite users. Does User Productivity Really Matter?